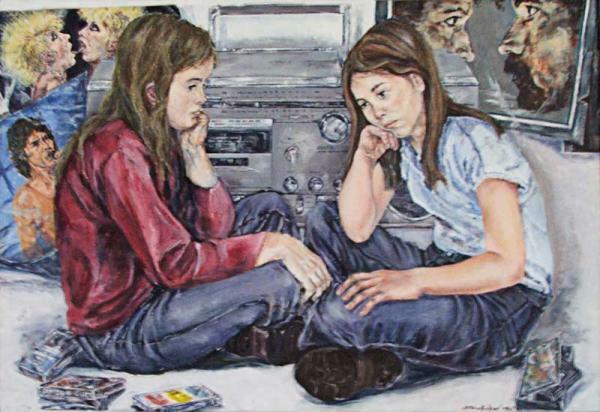 The painting talks about the former times when young people gathered to listen to music in groups. The music was their form of expression and language. But with large music devices, they were stationary in place and the young people came to the machines and listened with each other.